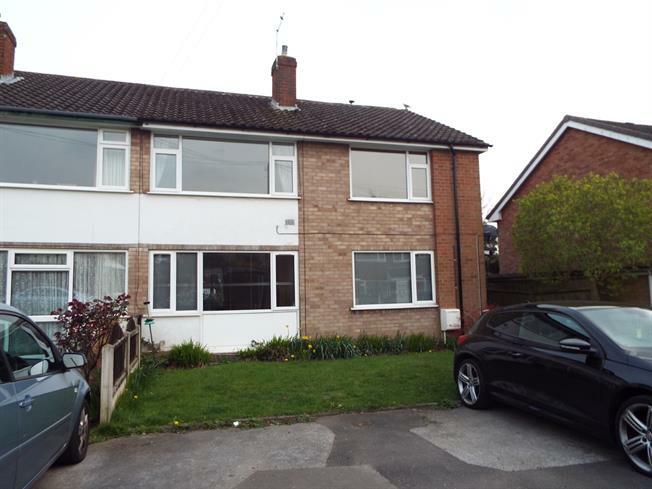 2 Bedroom Maisonette For Sale in Sutton Coldfield for Offers in the region of £148,000. A well presented first floor maisonette benefitting from double glazing and gas central heating. The accommodation in brief comprises: entrance hallway, lounge, re-fitted kitchen, two double bedrooms, bathroom. Externally the property benefits from communal parking and a private rear garden. Internal viewing is highly recommended to fully appreciate the size and condition of accommodation which is offered for sale with no upward chain. Double glazed window facing the rear. Roll top work surface, fitted wall, base and drawer units, single sink with drainer, space for oven, space for washing machine, dryer & fridge/freezer. Double glazed window facing the rear. Radiator. Low level WC, panelled bath, electric shower, pedestal sink. Patio area, lawn, fenced surround.